Taking online surveys will not make you a millionaire overnight. I have said this overtime and I will not stop saying it. However, Surveys present a good opportunity for you to make extra bucks every month. Interestingly, you can take them at your leisure. With the money earned from each survey, you can shop for groceries, gift items, or even treat yourself to a nice evening. If you are consistent, who knows, you may get more than you envisaged. There are lot of websites that claim to pay you whenever you take surveys. The truth is this; about 90% of these sites are frauds. 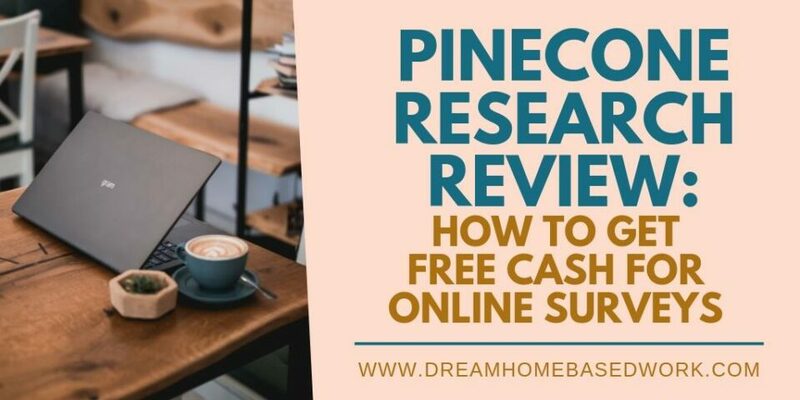 In this article, I will be giving a detailed review of one of the most common survey sites, Pinecone Research. This exclusive company offers survey and product testing as services to its wide range of customers. I use the word exclusive because the company chooses whom to invite for any survey opportunity. The Members of Pinecone Research are known as Panellists. As soon as you join the panel, you will have access to unlimited surveys and product testing opportunities in the United States. Pinecone Research pays you $3 for every completed survey. Ready to join Pinecone Research? Go here to signup or keep reading to learn more. Pinecone Research is a US based company. The brand is a subsidiary of Nielsen Company which is a part of AC Nielsen Bases. Pinecone Research is one of the companies recognized by the Better Business Bureau. Pinecone offers business research services to different organization. They offer Survey, website testing and product testing services. To get started on Pinecone Research, the first thing you will need to do is sign up on the website. You can do this by clicking the join button on the website. You can also request for invitation links from Pinecone Research Panelists. After you have gotten the link or clicked the join button, the next step will be to fill out your information. I need to inform you here that the process is time consuming. Pinecone Research asks various questions on different subjects. Your answers will help them determine if you are exactly what they are looking for. There is no trick or shortcut to this. Try to be as sincere as you can while answering the questions. If you have traits that the company requires, your request is accepted. If you are accepted, they will send you regular surveys to complete via email. The survey is based on the demographics you chose during sign up. The surveys are based on different topics. However, Pinecone research places its focus on Customer and product related services. 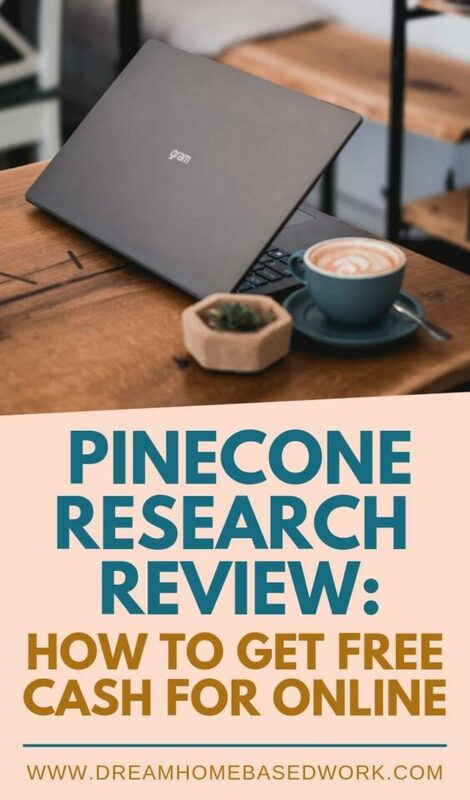 For every survey you take on Pinecone Research, you will earn reward points. The points you receive can be redeemed for different cash and gift prizes. RELATED: How Can I Increase My Earnings with Paid Surveys? Like majority of the survey sites we know, this site is also free to join. If you see any Pinecone Research website that tells you to pay before joining, it is a fraud. You do not need to pay in order to join the legit website. The beautiful thing about this company is that you get access to take surveys that you have prequalified for. The essence of the questions asked during the registration process is to prequalify you. This means you do not have to worry about the type of survey sent to you. Each survey is tailored to your area of interest. Another advantage if joining Pinecone Research is that, you will get the chance to test yet to be released products. This gives you a chance to contribute your quota to the product before been sent to the market. What other way do you need to make global impact than this. Pinecone Research pays really well when compared to other research companies. Pinecone Research pays you up to $5 for every survey you take and $6 for product testing. The beautiful thing you will gain access to surveys that pay more when you have spent a long time on the site. Another good news is that Pinecone Research pays within 48 hours via PayPal or check. Now that we know the pros of joining a website like Pinecone Research, here are the cons. There is age and place restriction. You must be 18 years and above to qualify. You must also reside in the US, UK, Germany, or Canada. The company does not have a mobile app yet. You must log in on your PC to take the survey. The company generates your own username and password for you. There is restrictive membership. The company accepts only one member of a household to join its panel. RELATED:Get Paid To Test Free Products Online – 6 Legit Sites To Join Now! Pinecone Research is one of the oldest survey websites out there. The site is legit and pays on time. So, if you are looking for companies that pay for taking surveys, Pinecone Research should come to your mind. Join now! Looking for more paid survey sites? Check out this list of 22+ legit survey panels to sign up with.